Beautiful gifts from nature; the beauty and wonder of nature and what she gives us is in crystals/gemstones – found from all over the world, each with its own energies; gifts and colours. As with essential oils and colour; crystals/gemstones can be used in the healing process. If one is open to receive the beautiful healing energies of a specific crystal/gemstone, the shift in energies can be quiet strong or quiet subtle dependent on the quality of the crystal/gemstone and the persons willingness to allow the energies into heal. If one has chosen a blue crystal/gemstone, it could mean that ones throat energy chakra may be blocked, and by working with this crystal it may assist on an energetic level. If one allows this to happen, it is a very individual process here, as everyone has their own ideas and perceptions, but nevertheless the crystals do have the ability to heal. One of my favourite blue crystals is Chalcedony, generally mined in Turkey, Brazil and Madagascar; this crystal is conducive to the throat chakra for shifting stagnant energy. If you refer to Robert Simmons book “The Book of Stones”, this will give a wealth of information, I have attached a YouTube clip for you just out of interest. 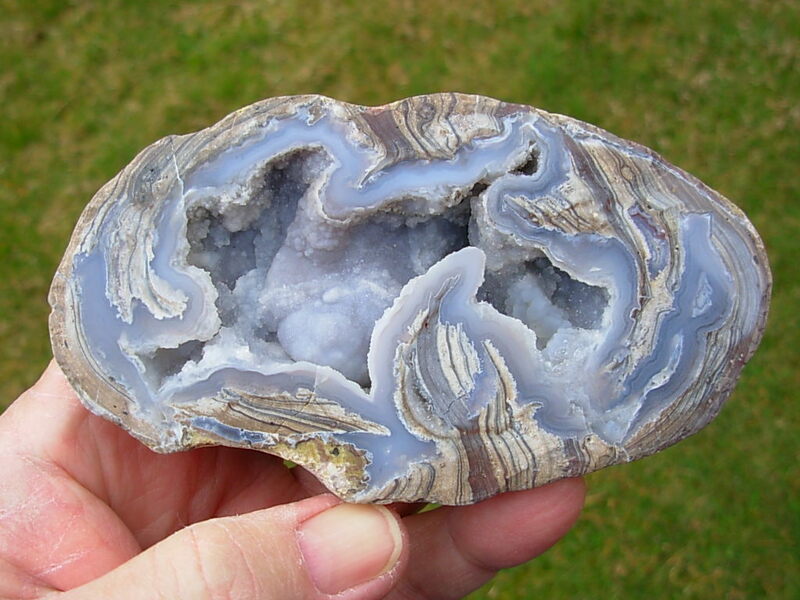 This photo is a beautiful example of Chalcedony, it is a beautiful gift from nature and just to hold it close or have it beside your bed is very calming. This is just a little about crystals/gemstones, I will be doing some day by day posts on crystals introducing these gifts of nature.